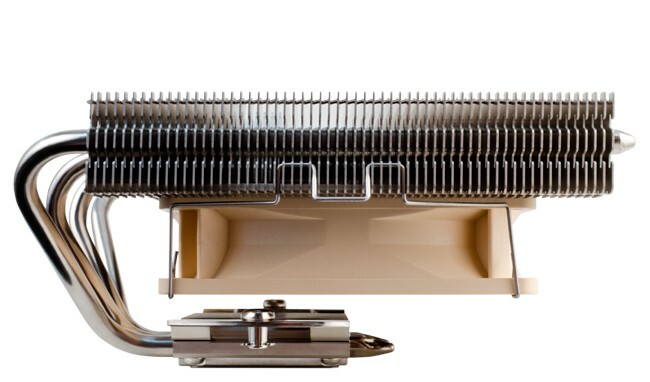 There are a number of coolers out there and the stock Intel cooler that comes with the i5/i7 Sandy Bridge and Ivy Bridge CPUs has a low-ish profile but it isn’t exactly quiet. 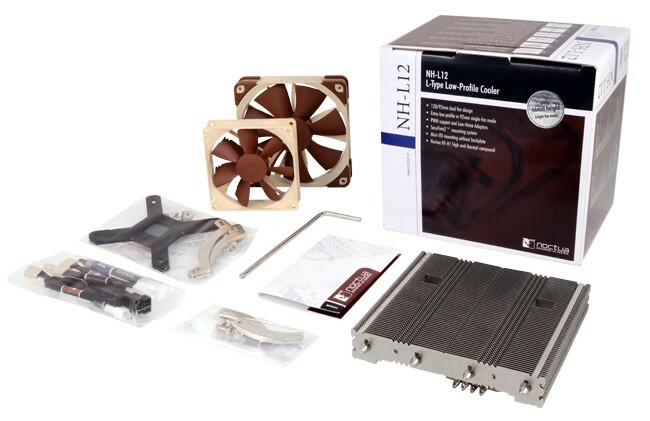 Noctua provided us with an NH-L12 for testing so let’s have a good look at what we are compromising for a low profile solution. 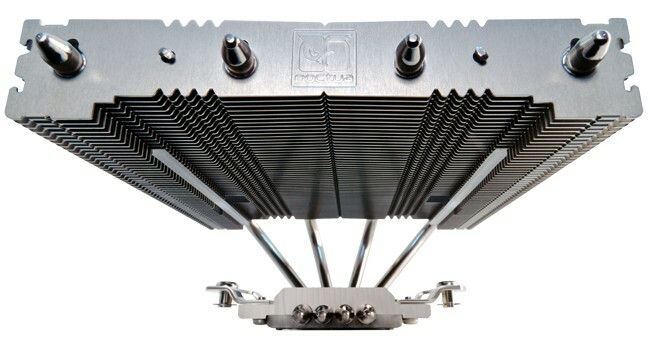 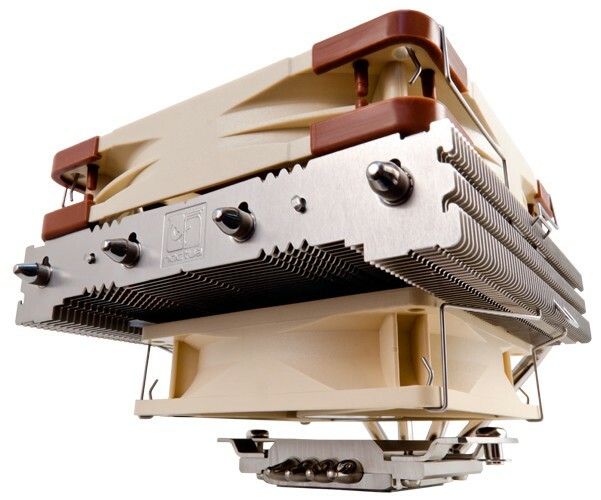 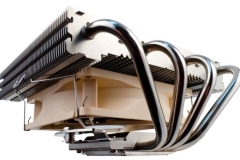 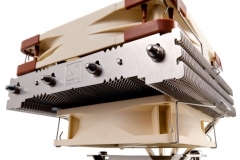 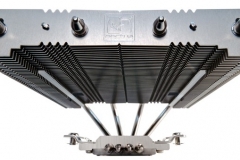 The NH-L12 is a horizontally orientated low profile cooler that has a weird combination of 90mm and 120mm PWM fans with heat pipes and fins sandwiched in the middle. 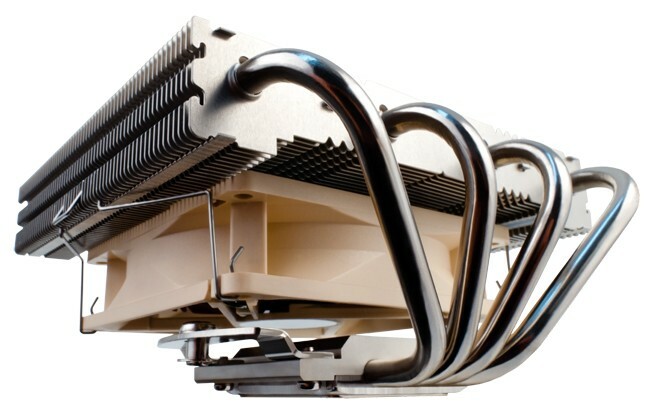 The fans force air down onto the motherboard, with the top 120mm fan being easily removable to reduce the height profile of the unit even more. 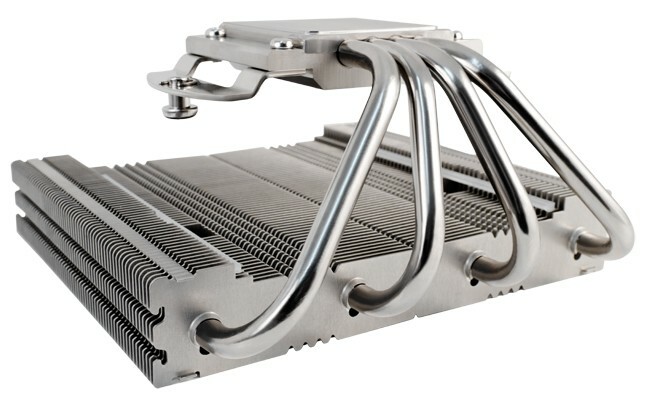 The implementation of PWM fans on this cooler means that with the right fan profile, noise levels shouldn’t be a problem. 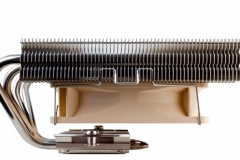 We tested the NH-L12 on an i5-2500K which would be overkill for a HTPC but we wanted to look at a worst case scenario in terms of heat and overclocking. 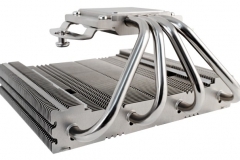 We also wanted to see how it compared to its much larger big brother, the NH-D14 – which is a little unfair as these are different products built for different purposes but we were still curious.